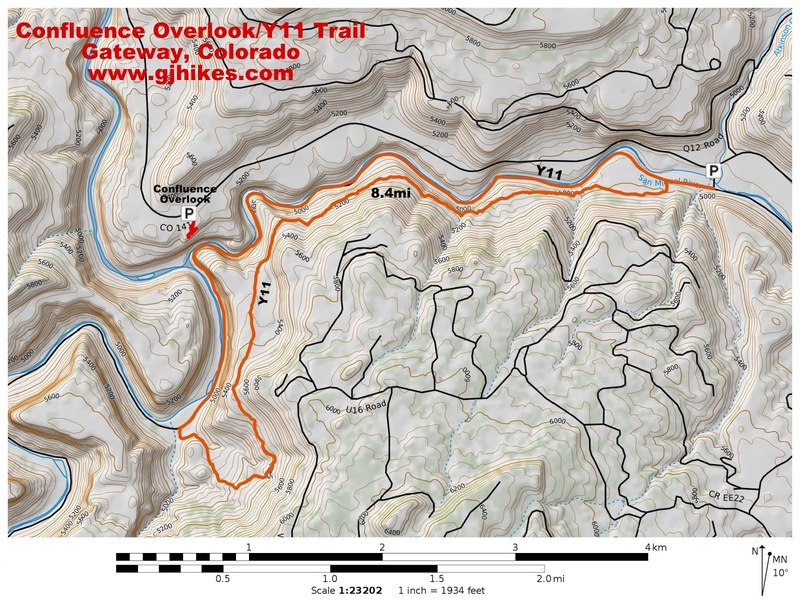 The Y11 trail is located off of Highway 141 between Gateway and Naturita, Colorado. The trail starts out near an old iron bridge by following the Y11 Road along the San Miguel River. At the confluence of the San Miguel and Dolores Rivers the road turns up the Dolores River toward the Paradox Valley. The canyon widens at a spot known as Saucer Basin where the route leaves the road and follows an old double track for about a half mile as it climbs steeply into the basin. At the 5 mile point from the iron bridge the Y11 singletrack begins. From there the trail climbs up to a bench that it follows as it loops back around the mountain. 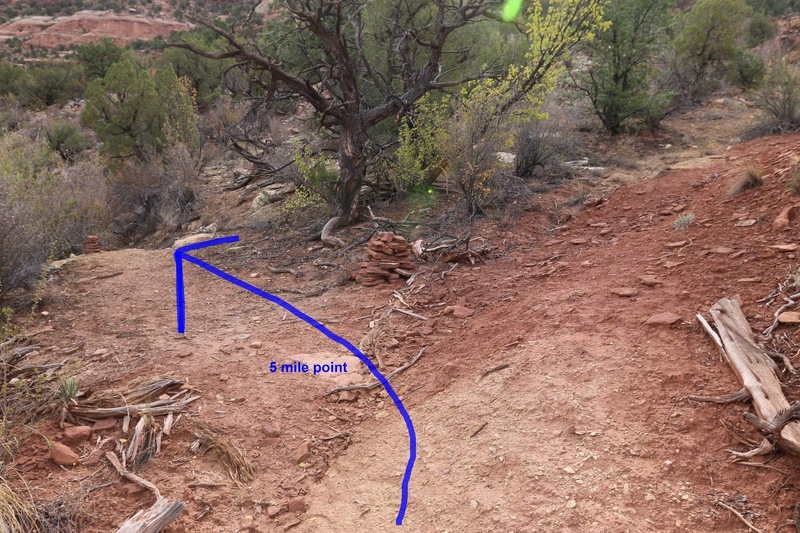 As the trail travels above the San Miguel River there are several places where it gets close to the edge of the cliff and caution must be taken. To get to the trailhead follow Highway 141 south for 33 miles from Gateway or 18 miles north from Naturita to the iron bridge in this photo that is just downstream from the former townsite of Uravan. The Y11 trail starts about a quarter mile down the Y11 Road from the bridge. 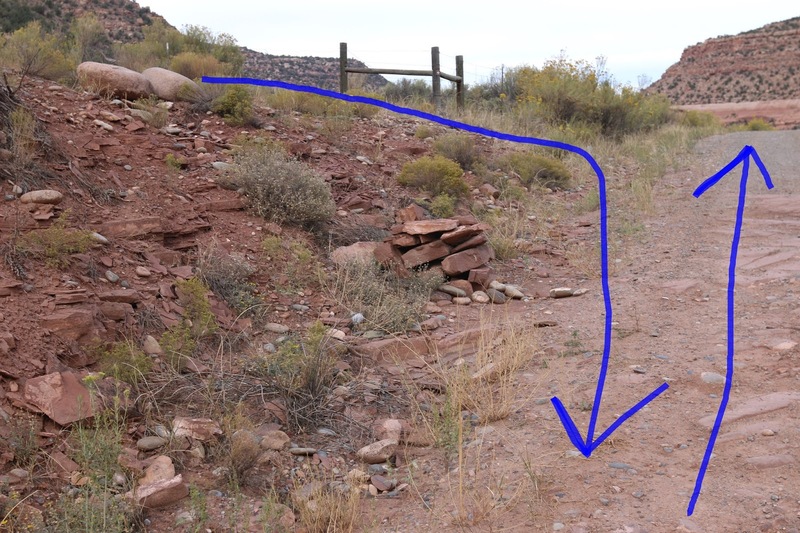 For this post we elected to ride the trail as a loop in the counterclockwise direction. For those that are hiking and wanting to do the trail as an out-and-back watch for the cairn in this picture that is on the left hand side of the road. There is also a trail marker on the corner fence post that points out the trail. Even if you are doing the trail as an out-and-back you might consider driving the Y11 Road at some time or other. The drive through the canyon is very scenic and a loop can be made by turning off onto the Y11 Road at Uravan, driving through the canyon along the rivers and coming out near the town of Bedrock along Highway 90 and then following 90 back to 141. Along the way you can stop and see a section of the famous Hanging Flume that was reconstructed back in the spring of 2012. You can also get a close up look at the confluence of the San Miguel and Dolores Rivers. From the confluence the trail continues along the Dolores River until it reaches Saucer Basin around the 4.3 mile point. There are several dirt piles on the right hand side of the road and a primitive campsite. 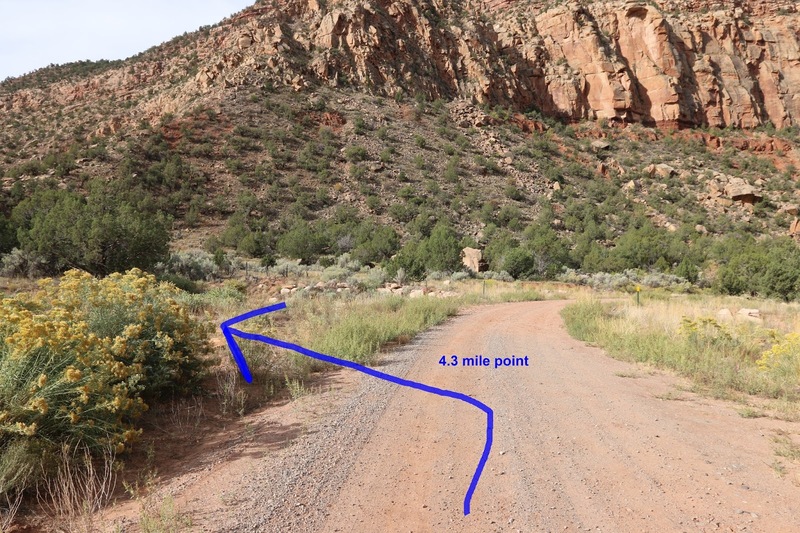 At present the Y11 trail is marked by a post near the road and after crossing a shallow wash there is a trail marker screwed onto a sagebrush down close to the ground. After turning off of the road the trail begins a climb that is a little steep at first but soon moderates a little. A little more than a half mile from the road, at the 5 mile point from the iron bridge, the Y11 trail branches off on a singletrack. The trail continues its moderate climb as it works its way around the basin climbing from bench to bench as it gains elevation. The elevation profile makes the climb look quite a bit steeper going in this direction than it actually is even though it is still a pretty good workout. Once the trail makes it up to the bench it moves fast as it travels around the point of the mountain following a mostly dirt track. The views of the canyons below are continually changing as the trail travels first above the Dolores River and then above the San Miguel. There are quite a few places above the San Miguel River that require caution as the trail gets close to the edge. Once the trail gets around the east side of the mountain far enough you can see how the bench that it is traveling on gradually begins descending back down toward the river. This part of the trail is a mix of a lot of easy rolling that is occasionally interrupted by more technical features. The last part of the trail coming off of the bench moves fast and smooth until the loop comes to an end as it reaches the road from where the Y11 trail finishes up as easy as it started. The Y11 trail was an old cow path back in the day but it has lately been very well reconstructed to accommodate mountain bikes. Hikers should find it very enjoyable also. Even though it has some solid 4 star scenery we only gave it 3 stars because of a few of the unpleasant steep sections and the lack of any trailhead signs with the trails name on them. Those stars are just one way that we express our opinion and are only meant as a way to relate one trail to another. 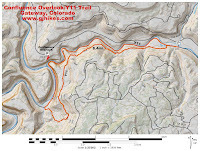 The MTB Project has a rating of 4.6 out of 5 for the Y11 trail. We have a lot of people from around the world that use this website to plan their vacations so we tend to give 5 stars to the trails that they will want to see the most in what precious little time they have and then scale them down from there. That said, I'm sure we had at least a 4.6 good time ourselves on the Y11 trail. If you would like to see it for yourself then all you have to do is grab your bike or 'Take a hike'.